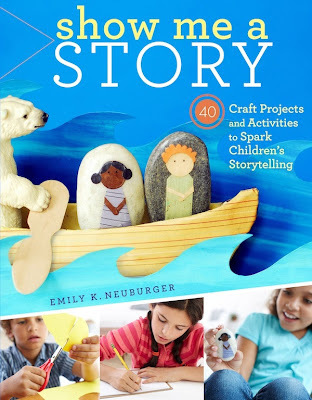 There is a project outlined in the book by Emily K. Neuburger ,Show Me a Story: 40 Craft Projects and Activities to Spark Children's Storytelling, that is titled Storytelling Jar and it stood out among many great ideas as the one I first wanted to try. 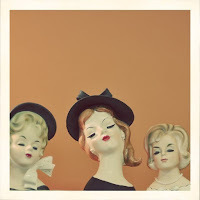 The author says to think of them as storytelling terrariums and I loved that description. As shown in the photos and explained in the instructions- you take a glass jar and design an interior. Set a scene or the stage to inspire a story through adding elements created with felt, colored paper, stone, beads etc..Then you use the jar you have created to inspire a story or poem. The project allows for so much imagination and creativity and it can also evolve as you switch out or add elements and details. I am looking forward to mason jars of potential tales filling my home!